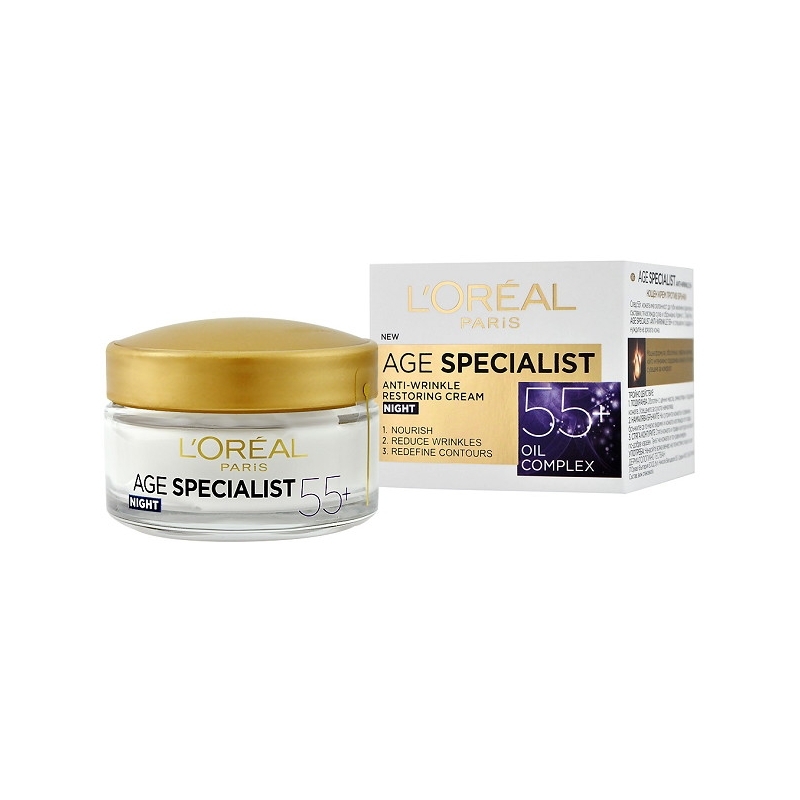 The L'Oreal Age Specialist 55+ Anti-Wrinkle Night Cream is a deeply nourishing moisturiser specifically formulated to meet the needs of mature skin. The nightly moisturiser is enriched with an oil complex to provide intense nutrition and care to the skin. With regular use your skin will appear healthier, feel firmer and look younger with better elasticity and visibly reduced wrinkles. 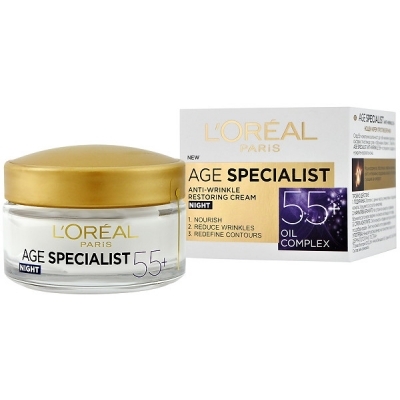 L'Oreal Age Specialist 55+ Anti-Wrinkle Night Cream contains 50 ml of luxuriously rich cream.